Recently-established infrastructure consortium EdgeCore Internet Real Estate has acquired a parcel of land in Santa Clara, California, where it will build its fifth data center campus. The upcoming site will offer 80MW of power capacity once complete, with the first phase of the project expected to go online in 2020. EdgeCore previously said it plans to invest in six different locations across the US; it has already announced hyperscale campuses in Dallas, Phoenix, Northern Virginia and Reno. EdgeCore was established in the beginning of 2018 with a focus on wholesale colocation, with $800m of capital from Mount Elbert of Colorado, Singapore’s foreign reserve investment firm GIC, and Canadian pension funds manager OPTrust. The company said at the time it was aiming to create a data center property portfolio worth at least $2 billion. EdgeCore’s latest project will be located in Santa Clara, its electricity supplied by Silicon Valley Power. 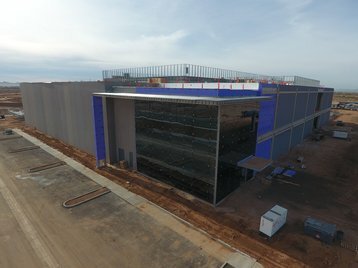 “This is an important milestone in rolling out our wholesale data center platform across the US,” said Matt Muell, SVP development at EdgeCore. “Santa Clara is the fifth location that we have acquired and commenced development on in less than ten months as we systematically execute upon our goal to be the preeminent developer and operator of wholesale data centers in the United States." The consortium says that so far, has purchased enough land to support more than 4.4 million square feet of data center space and 800MW of power capacity. The press release from EdgeCore identifies Silicon Valley as the second largest data center market in the US, but this is up for a debate – according to CBRE, since 2016 this title has actually belonged to the Dallas-Fort Worth metro.